International Translation Day is an occasion to increase awareness of translators’ work and celebrate the profession all over the world. 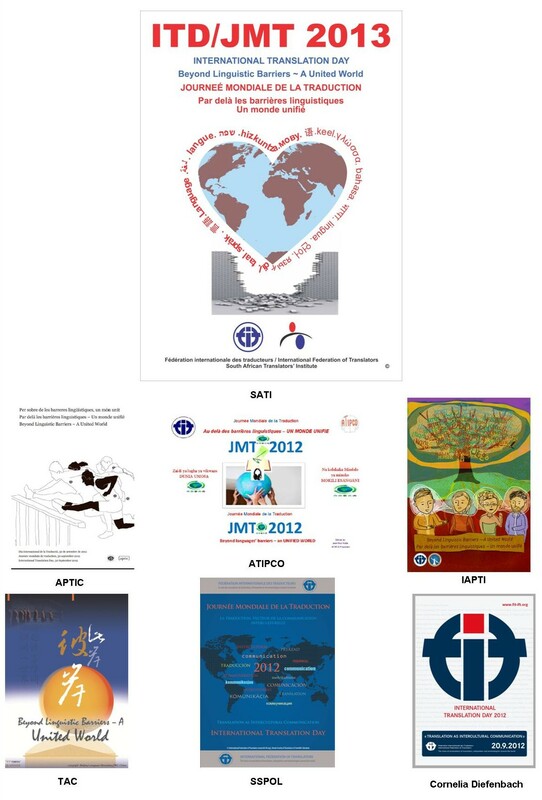 Held annually on September 30th, saint’s day of Saint Jerome (the biblical translator considered to be the patron saint of translators), the idea was officially launched in 1991 by the International Federation of Translators (FIT) in order to raise the profile of the language industry. 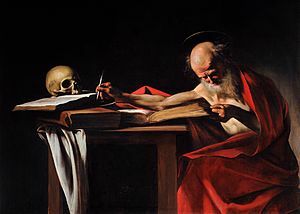 Although Saint Jerome was an early Christian (he produced the first Latin translation of the Bible and wrote texts on the art of translation) International Translation Day is secular and non-denominational. The enormous diversity of languages and dialects in the world creates barriers to communication on a daily basis, affecting all areas of life. Human migration and globalization highlight the need for seamless communication across cultures. Professional translators, terminologists and interpreters have an essential role in this regard. Sometimes working under difficult circumstances, for example in fluctuating market conditions or in conflict zones, they nevertheless consistently work to overcome language barriers and bring people closer together. TTIs (translators, terminologists and interpreters) work at all levels of society. Not only do interpreters help politicians negotiate complicated treaties and agreements to avoid international conflicts and wars, but they also help parents obtain the necessary treatment for a sick child in an emergency room. Translators ensure that machinery can be used safely around the world through professionally-translated technical manuals, and that software is localized so that we can all use it in our primary language. Thanks to translators, we can all enjoy the great literary masterpieces. Every year more and more events celebrate translators’ work, and I’ve listed a few of them below. One that particularly touched me this year was being interviewed by colleague Emeline Jamoul in a series of 10 interviews on her blog specially created to celebrate International Translation Day ’13. Emeline is an English and Spanish>French translator and owner of In Touch Translations, based in Belgium. Other translators interviewed include: Olga Arakelyan, Megan Onions, Catherine Christaki, Tess Whitty, Nicole Y. Adams, Judy Jenner, Carolyn Yohn, Sara Colombo, and Lloyd Bingham. You can read my interview here. As you can see from the poster the theme of 2013’s International Translation Day is: Beyond Linguistic Barriers – A United World. 2014’s theme will be: Language Rights: Essential to All Human Rights, and 2015’s theme will be The Changing Face of Translation and Interpreting. International Translation Day 2013 communiqué from FIT in English and French. International Translation Day 2013 blog by Emeline Jamoul. These are just a few events being held this year; other events have already taken place, and yet others are more informal. International Translation Day symposium in London – presented by Free Word, English PEN and the British Library in association with the British Centre for Literary Translation, the Translators’ Association, Literature Across Frontiers and Wales Literature Exchange. USA: Northwest Translators and Interpreters Society (NOTIS) and the Washington Court Interpreters & Translators Society (WITS) are holding a language enhancement workshop on October 5th; details here. The Ordre des traducteurs, terminologues et interprètes agréés du Quebec (OTTIAQ) will be celebrating with four separate events. The website ProZ.com will be holding a week-long series of virtual conferences. Thank you so much for mentioning my project, Catharine! And thank you again for your continuing support and all your RTs and likes! I’ve really been touched by the response I’ve had in our community… Truly overwhelming to see that so many people care about what they do! I wish I could attend an event in person, but sadly I’m stuck in Belgium so I will be enjoying the webinars held at Proz! It’s a shame after all the organisation you did this year that you can’t attend any events in person … but we’ll be celebrating together ‘virtually’!